The Simpsonville Area Chamber of Commerce is the leading business organization that promotes the Simpsonville area and the local business community. We foster programs, events and initiatives designed to create more business, better living conditions, and a more attractive and desirable community in which to live, work and visit. As a member of our Chamber, you'll be part of this collective influence that's shaping Simpsonville and Greenville County. You’ll also be giving back to the community and improving the quality of life by influencing issues like public policy, education and community development. We offer an extremely high value package to our members: pro-business advocacy, networking events, professional development sessions, and sponsorship opportunities. No matter what your business needs to grow, membership with the Simpsonville Chamber will provide access to the tools you need to succeed. 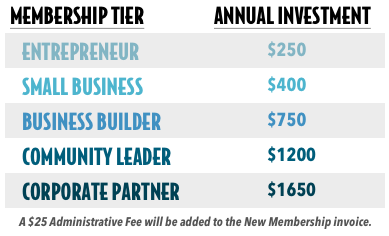 We are proud to offer five membership investment levels, each packed with valuable benefits that meet the needs of every member. Our membership structure puts our members in control of their investment by choosing and paying for only the benefits they want for their business.